1. What is OEKE-TEX® Standards 100? 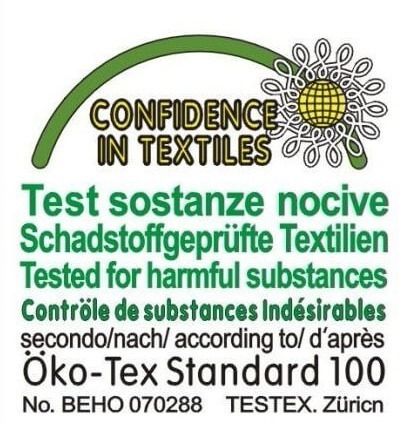 The OEKO-TEX® standards 100 were developed and led by the international OEKO-TEX® Association, a group of 16 textile research and testing institutes in Europe and Japan, with representative agencies and contact offices in over 60 countries worldwide. Products passing the tests in this system must have a certification label that ensures that the product does not contain harmful substances at levels that may be dangerous to the body. Regardless of bedding or nightwear, Silky-Dream products have OEKO certification and are healthy for your skin. OEKO-TEX® Standard 100 applies throughout the textile industry, and its scope covers textiles and leather products at all levels of production including textile and non-textile accessories. The standard also applies to mattresses, feather and down, foam, upholstery and other material with similar properties. A tested textile product is assigned to one of the four Oeko-Tex® product classes based on the intended use. The more intensive a product comes into contact with the skin, the more stringent are the human ecological requirements it must meet. The products Silky-Dream sell in the shop have achieved the Oeko-Tex Standard 100 Class II certification. This means that the products have passed a very reliable test consisting of over 100 strict test standards determined by the above research institutions. An OEKO-TEX® certificate is valid for 12 months. 2.How should you check the validity of the certificate? Enter the certificate number on the OEKO-TEX® Association, website the result will provide details of the validity status, the relevant product class, and the items covered by this certificate number. If the validity is to be verified, the contact information for the relevant institution will be displayed.